A #WebsiteWednesday that’s more than a website – it’s also in print! 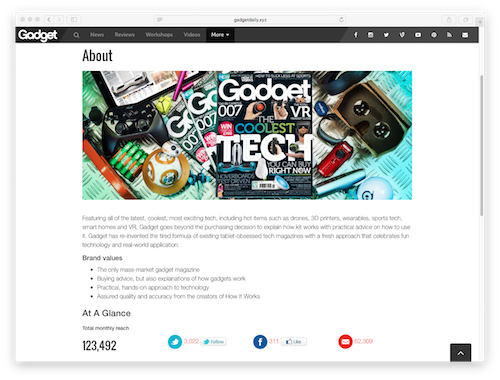 Created last September by the minds behind How It Works Magazine, GadgetDaily.xyz is the official website for Gadget, “the next-gen tech magazine” that features all of the latest, coolest, and most exciting tech. With their curation of news about hot items such as drones, 3D printers, wearables, sports tech, smart homes, and VR, GadgetDaily.xyz can be your one stop shop for innovation today. Not only does this magazine stand alongside Imagine Publishing’s impressive portfolio of online digital publications, you can have it delivered to your doorstep! You can get updates and buying advice on all the new tech out there, and GadgetDaily.xyz goes even further by explaining how it works and how to use it. 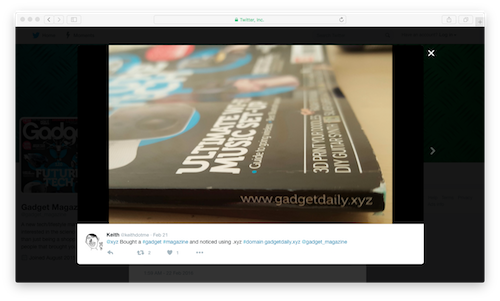 With this practical, hands-on approach, GadgetDaily.xyz has made it easy for anyone to understand what makes the newest technology tick. And all that new tech they’ll be introducing at SXSW? 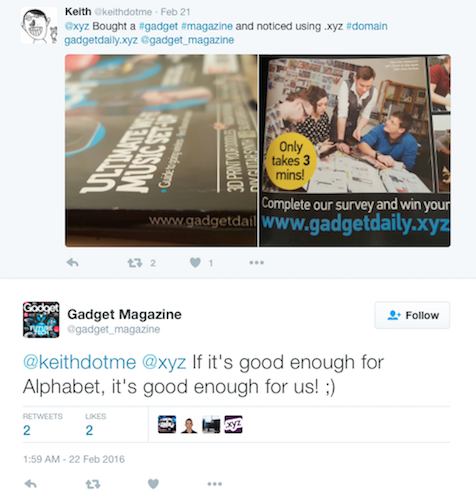 You can read all about it on GadgetDaily.xyz. « Previous Post China Blog Series: 创新高科技公司爱用.xyz!